OSWEGO, NY – Just weeks after revealing that the inaugural Lighthouse Lanes SBS Series event at the Evans Mills Speedway set for Sunday, June 18th would pay $1,000 to the winner, the series is now set to announce the very same news for the June 23 event at Spencer Speedway in Williamson. An incentive made possible by event sponsors Bruce Construction and Route 37 Building Supply with further backing from the Lighthouse Lanes SBS Series Fundraiser which took place at Lighthouse Lanes in Oswego on May 19, each of the first two scheduled series events will now pay $1,000 to the winner. Bruce Construction offers professional general construction services designed to concentrate on quality workmanship and building long-term relationships with clients. The Bruce Construction team takes pride in delivering a quality product within the given time frame. General construction services include roofing, windows, sheetrock, flooring, interior and exterior painting, siding, pressure washing, kitchens, bathrooms, decks, landscaping, and much more. Call Mike Bruce today at 315-591-6674 for a quote in regards to ALL of your construction needs. For more information on Bruce Construction, LIKE the Bruce Construction Facebook page. The building supply is a dream derived from Dave Bearup and thrives with the help of his two sons, Ken and David, Jr., and his wife, Debbie. Ken’s son Jesse will compete in both Lighthouse Lanes SBS Series events behind the wheel of the Route 37 Building Supply, Felder’s Roofing No. 37 Small Block Supermodifed and is a weekly campaigner at the Oswego Speedway. Route 37 Building Supply specializes in all kinds of products from flooring to roofing, garage doors, heating, counter tops, windows, paint, siding, and so much more. For more information, be sure to visit Rt37BuildingSupply.com. 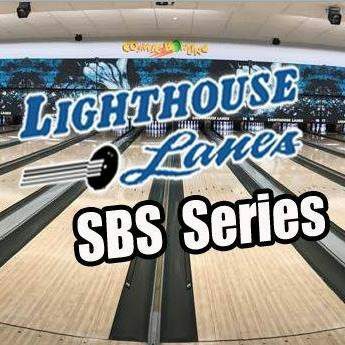 To receive the latest updates from the Lighthouse Lanes SBS Series in regards to the upcoming fundraiser, races, and more, LIKE Lighthouse Lanes SBS Series on Facebook or FOLLOW on Twitter @LHLSBSupers.